Who is liable to withhold? III. Financial institutions regulated by the Bank of Jamaica (BOJ) and the Financial Services Commission (FSC), tourism operators, utility and cable companies with annual gross revenue exceeding five hundred million dollars($500,000,000), including any entity with such revenue that is exempt from the payment of income tax. What are the specified services? 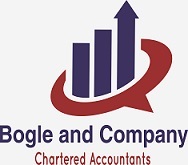 • Accounting • Auditing • Catering • Consultancy - professional service by persons who are not acting in the capacity of an employee • Decorating • Engineering architectural, electrical, mechanical and structural) • Entertainment • Information technology • Janitorial • Laundry • Landscaping • Legal • Management - • Repairs and maintenance – to buildings and motor vehicles • The rental or leasing of motor vehicles or equipment • Transportation of people and goods, haulage of goods or tours • Any other service specified by the Minister by order published in the Gazette. The prescribed entities will be registered as Tax Withholding Agents (TWAs) to withhold income tax at 3% from specified services with invoice value of $50,000.00 or more. The invoice value is the price for services rendered before the application of General Consumption Tax. Registration of the TWAs will be done by TAJ and does not require an application from the TWAs. • The Amount of tax withheld for the previous month. The TWA will collect and remit the tax withheld to Tax Administration Jamaica (TAJ) within fourteen (14) days after the month in which the tax was withheld. The TWA will issue a Tax Withholding Certificate - ITC01 (TWC) to the service provider at the time of payment. The service provider is eligible for a credit or refund in respect of the tax withheld. The service provider will use the WTC to claim a credit or refund against their quarterly estimated obligations or annual return as is applicable. The service provider can make a claim in a manner prescribed by the Commissioner General. The taxpayer will be entitled to claim in any year of assessment to which it relates a tax credit for the amount withheld. However, any excess credit for that year of assessment may be claimed as a refund or be carried forward to be utilized in a future year of assessment. Non-compliant persons (taxpayers) who do not account for their quarterly obligations, or file their annual income tax return will not be able to claim as a credit the 3% tax that was withheld. Notwithstanding the withholding of the 3% income tax the service provider is still obligated to meet his tax obligations in accordance with the income tax act.